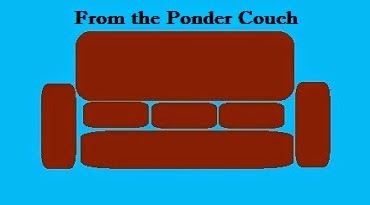 From the Ponder Couch: Twig! Today I am Thankful for the Presidents of the United States of America! My goodness do I love the Presidents of the United States of America and every musical thing Chris Ballew does! This is one of my favorites. I mess up the words and play pretty novice-ly and the guitbass will not stay in tune at all, but I like my version quite a bit for all it's flaws. 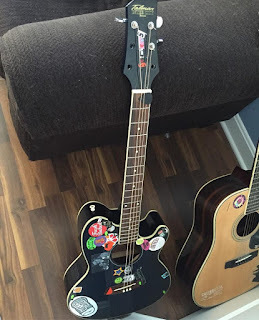 Many videos back (https://youtu.be/fg8skpCNRJE) I wrote about this guitar and how Guitar Center wouldn't buy it. I had to do something with it! I started putting stickers on it and finally realized that I always wanted a guitbass ever since I found out about them! 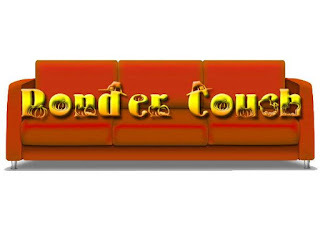 I'll write more on pondercouch.com! 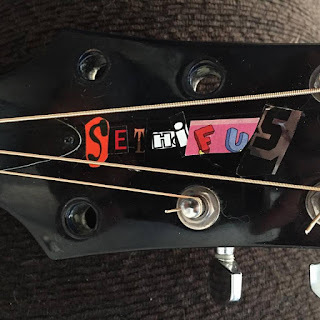 Here's pictures of my guitbass! It won't stay in tune for anything, but I love it! The strings vibrate to the point of uncontrollable distortion, but I love it! 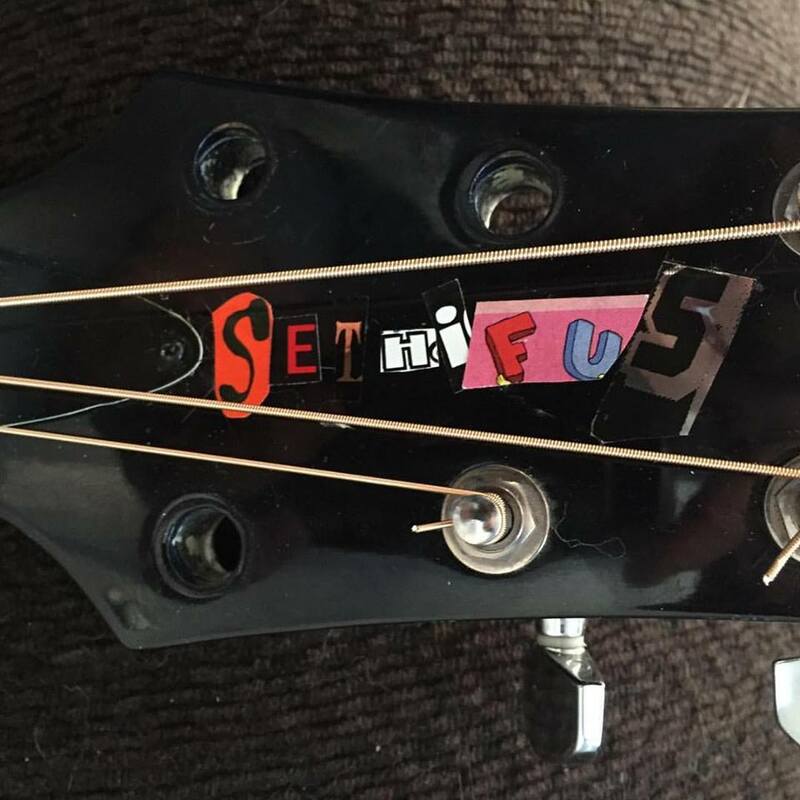 I had to file down the bridge thing at the top of the neck so the strings would fit in it, but it was worth it! 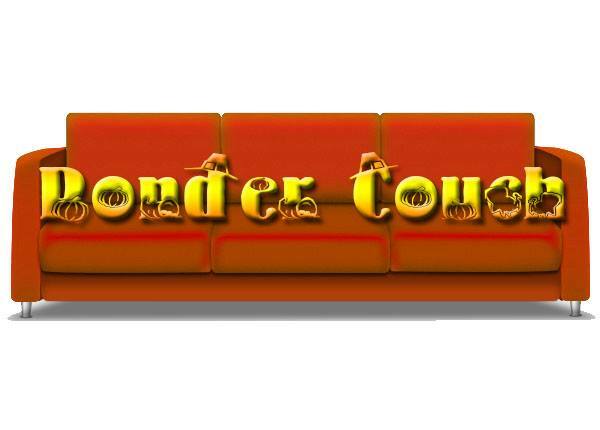 I talked to the guy behind this site that is all about guitbasses and bassitars! He was very helpful and told me directly what gauge of guitar strings to buy to make an acoustic guitbass. I thought I had more to say about this, but I can't think of it right now.